The K.C. 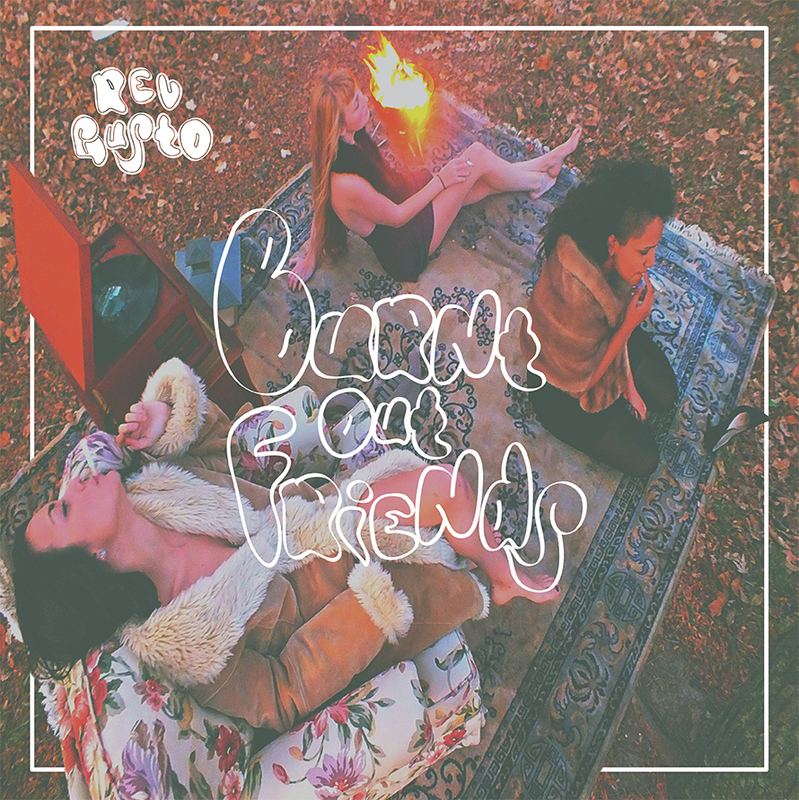 garage-pop band Rev Gusto released, Burnt Out Friends, their stunning debut album, this week via High Dive Records (Bummer, Sky Boys, Empty Moon). Frontman Jerry Frederick along with his brother Sam Frederick, Peter Beatty, Shaun Crowley and Quinn Hernandez create infectiously catchy and laid back 60’s-inspired pop songs that recall the sun-streaked harmonies of The Beach Boys and the raucous garage-rock of The Kinks. In fact, Frederick studied songwriting in England with Ray Davies from The Kinks. Don’t worry, the resulting album is not some tired, retro-minded rehash but is near-perfect pop pleasure without the pastiche. Recorded live in studio to capture their kinetic live energy the album is front-loaded with knockout after knockout with the opening track, “Boys Are At It Again” leading the charge with a hip-shaking rhythm, Jerry’s drunken vocal cadence and an impossible-not-to-sing-along-with chorus. The propulsive acoustic guitars and glam-pop melodies of “Goodnight Laura” follows, giving way to “Click Click” and its jangly Velvet Underground meets beach blanket bingo sound. The bouncy, organ-drenched “Blood In A Bag”, the trippy, psych-rock of “Surf City/Mind In A Cage” and the piano and trumpet-led album closing single, “Suburb Of Hoboken” are standouts as well. Last year, Rev Gusto released a 7” single as part of the Too Much Rock podcast’s Singles Series, which has also included releases from Schwervon! and Josh Berwanger. The instantly catchy A-Side "Still There" is matched with the band’s take on Graham Parker's New Wave classic, "Local Girls" on the B-Side. Atlas and the Anchor in conjunction with High Dive Records and the Too Much Rock podcast have a copy of this limited edition 7” to giveaway. Just email atlasandtheanchor@hotmail.com with your name and favorite track from Burnt Out Friends for a chance to win. One winner will be chosen at random on Monday, August 3. Good luck and thanks for reading and listening!